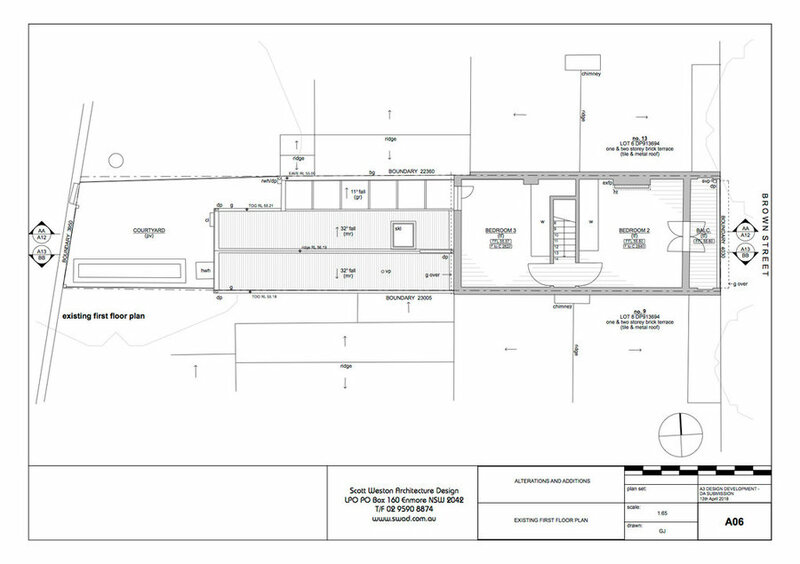 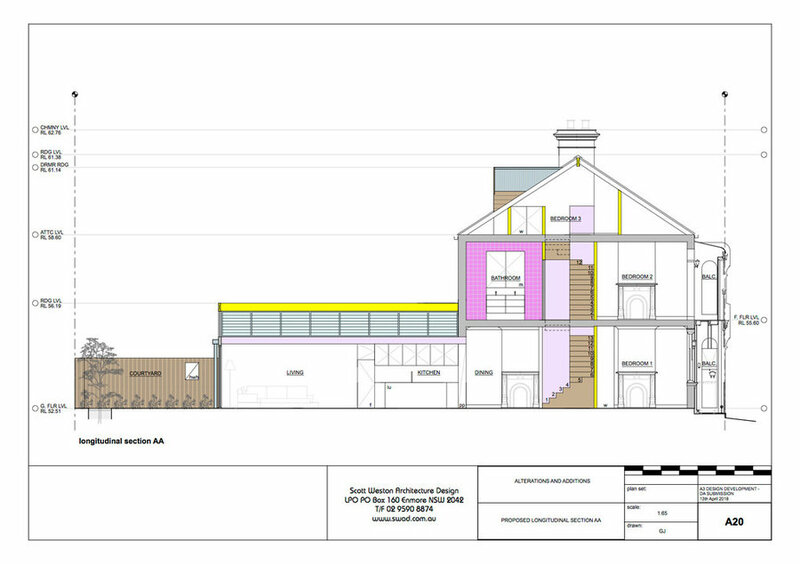 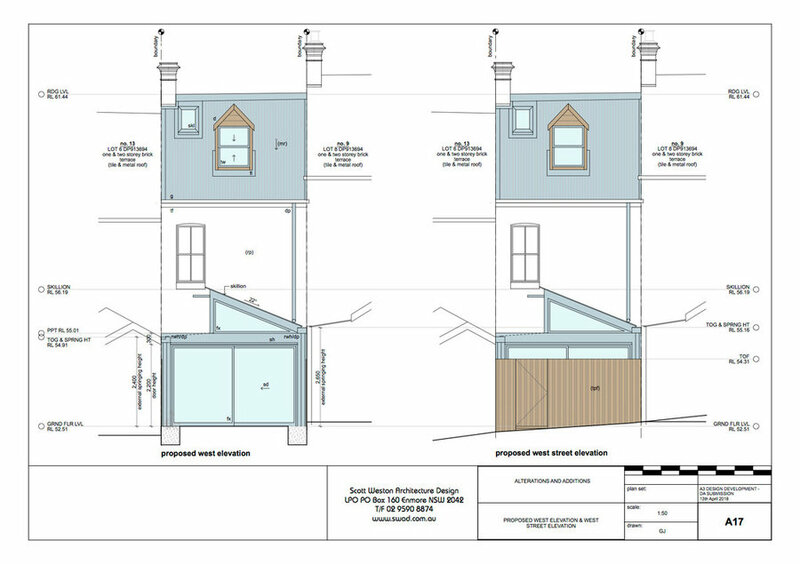 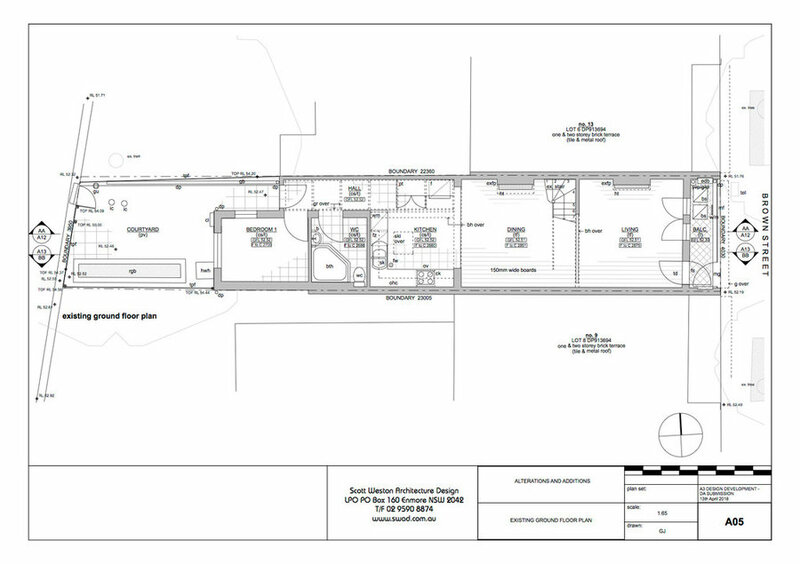 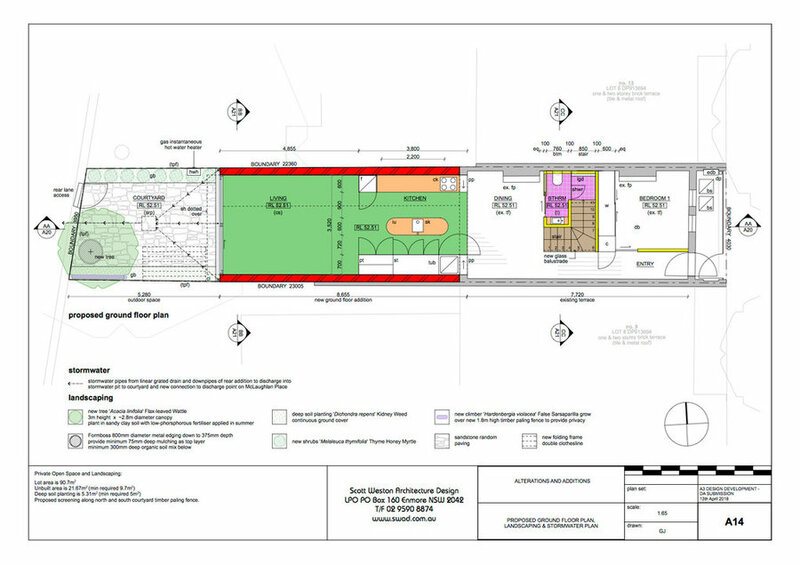 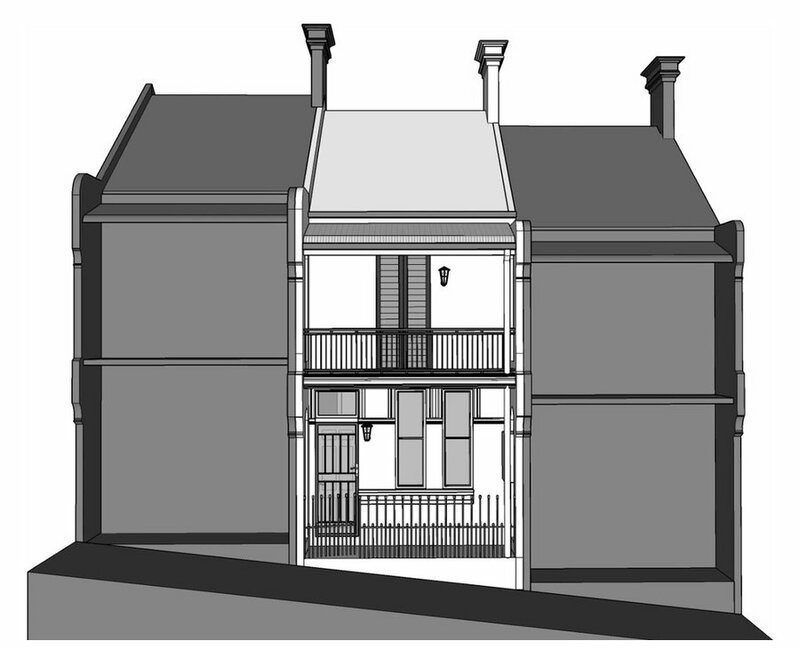 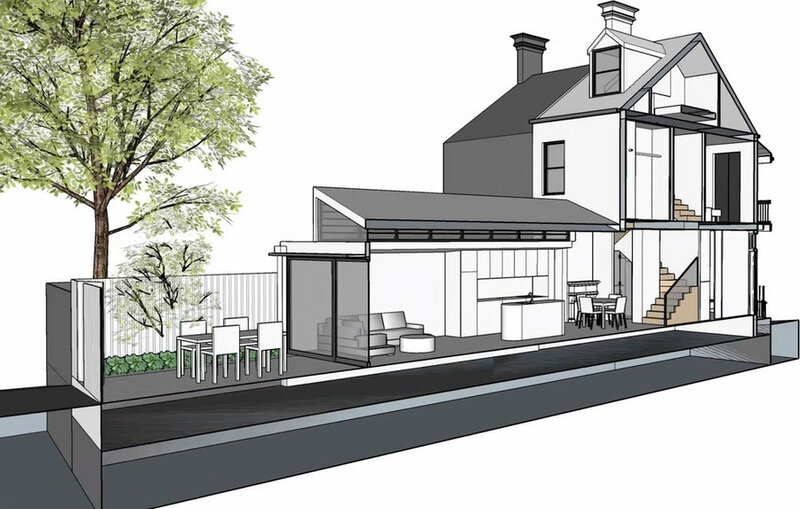 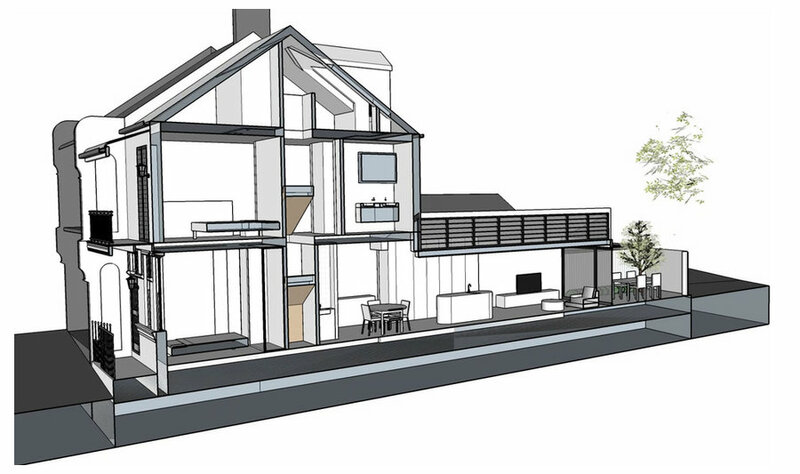 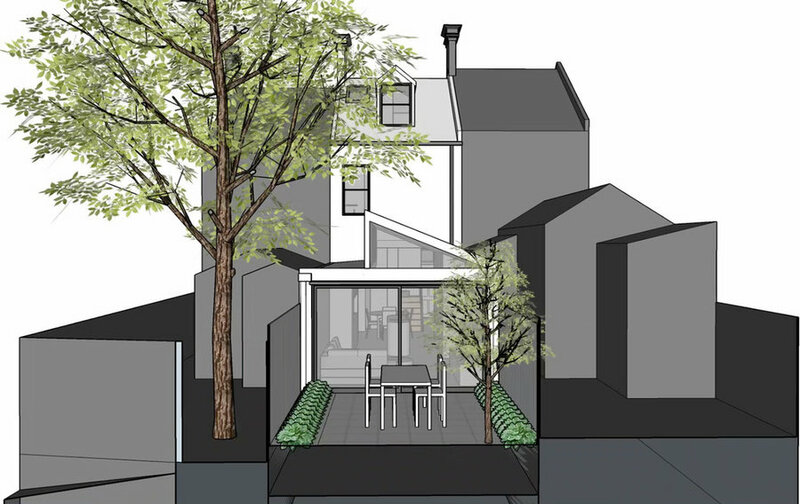 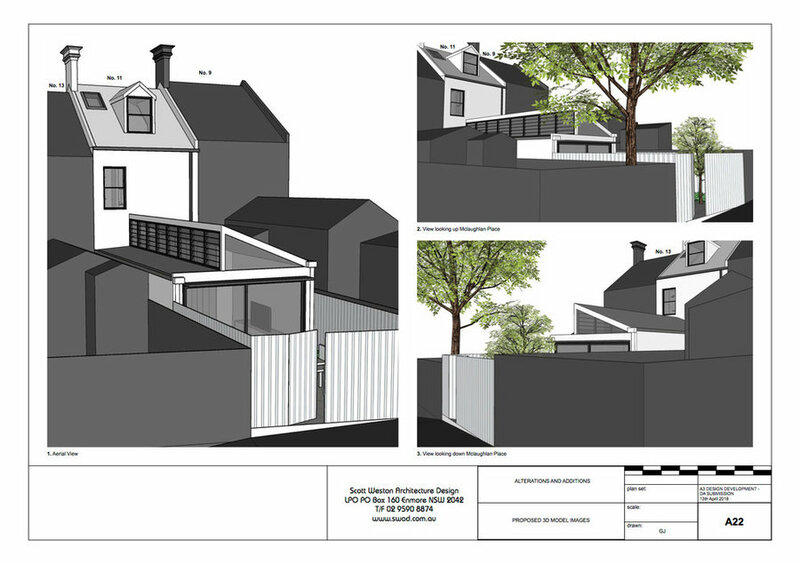 At Pre-DA stage with Woollahra Council the two-storey Victorian terrace to be refurbished and a single storey open plan rear addition of skillion roof with operable clerestory louvres captures the norther orientation. 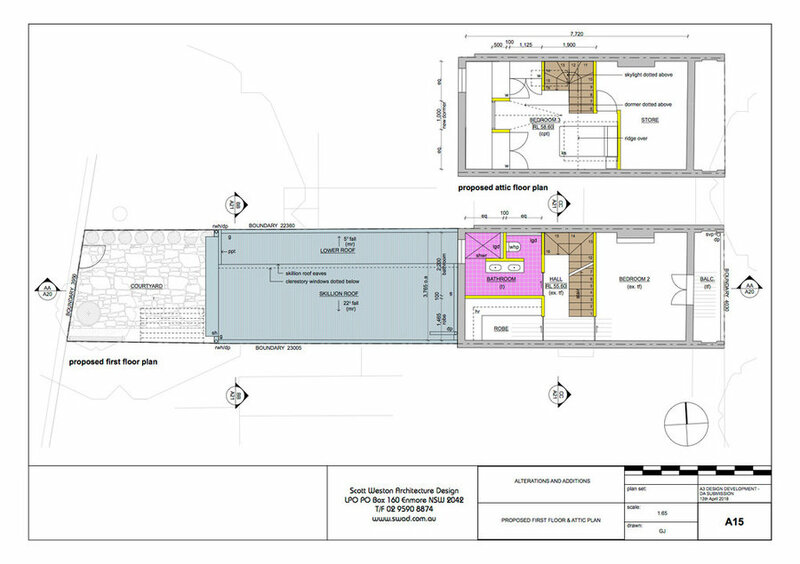 New staircase up to the first floor of master bedroom, separate room room and bathroom. 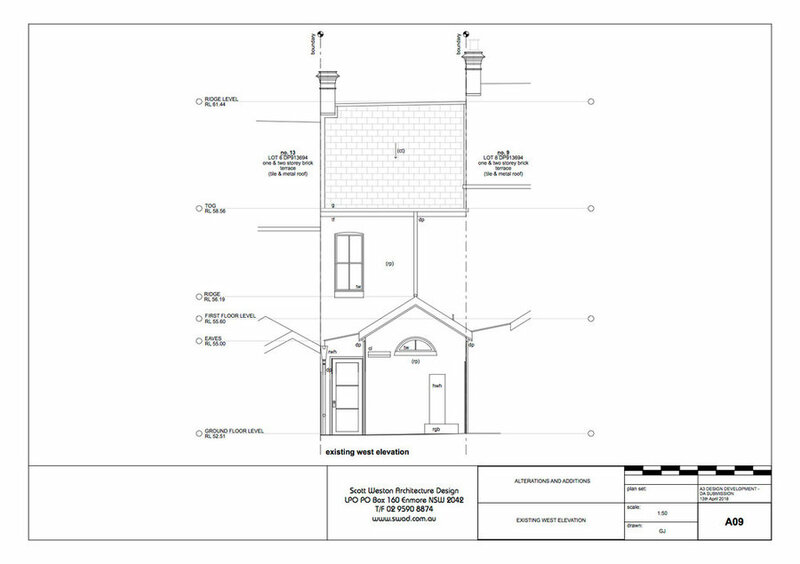 Attic conversion with a third bedroom.